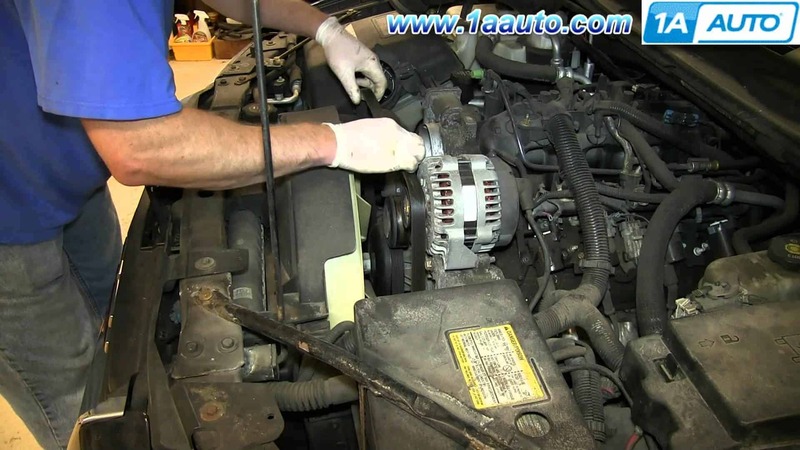 The fan clutch is one of the most important components of your car. It is a critical part of the cooling system of your engine. It improves the efficiency of the engine. Therefore, when the fan clutch is damaged, the performance of the engine will most likely be compromised as well. You need to ensure that the fan clutch is in good condition. If not, it needs to be replaced as soon as possible. If you do not know how to replace a fan clutch, there is no need to worry. A lot of other car owners surely do not know how to do so. In the rest of this post, we got you covered. We will let you know the specific steps that you should follow. At the end of the day, you will realize that the task is easy and you can do it even without the help of a trained mechanic. The first thing that needs to be done is to be sure that the problem is with the fan clutch. A quick visual inspection of the fan will give you an idea if it is already calling for a replacement. You also have to listen to the sound when the engine is turned on. If there is an annoying and loud sound, this is another indication that it needs a replacement. Another indication that you have a problem with the clutch is when the engine experiences overheating. Remember it controls the cooling fans. Therefore, when the fan clutch does not work, the fans will not also provide a cooling effect and this is why the engine will suffer from heating. Once you are sure that the fan clutch is problematic, procced to having it removed. Before you can access the fan, you have to remove the air intake hose, fan shroud, and the belt. Use the screwdriver to take off the intake hose. Once the screw is loose, take it off and wiggle the hose until it is completely moved out of its place. After removing the air intake hose, you will now have easier access to the fan shroud. Remove the bolts on both sides. After removing the shroud, you will now have easier access to the old fan and you can have it removed. Use an open-ended wrench to remove the bolts that are attached to the fan. In the case of some designs, you will need to use a pulley locking tool. The latter has the main purpose of preventing the movement of the pulley while you are removing the nut. Once you are done with the removal of the old fan clutch, now is the time to have it replaced with a new one. Hold it in place while aligning the bolts. Fasten the bolts and see to it that it is secured. This is an important part of the process. If the fan is not properly positioned, it can loosen and can cause problems in the engine. After the installation of the new fan clutch, you have to return everything that you have earlier removed. This will include the fan shroud and the air intake hose. See to it that you will bring them back to their original position. As with the fan clutch, check the bolts and the screws to be sure that they are as tight as they should be. 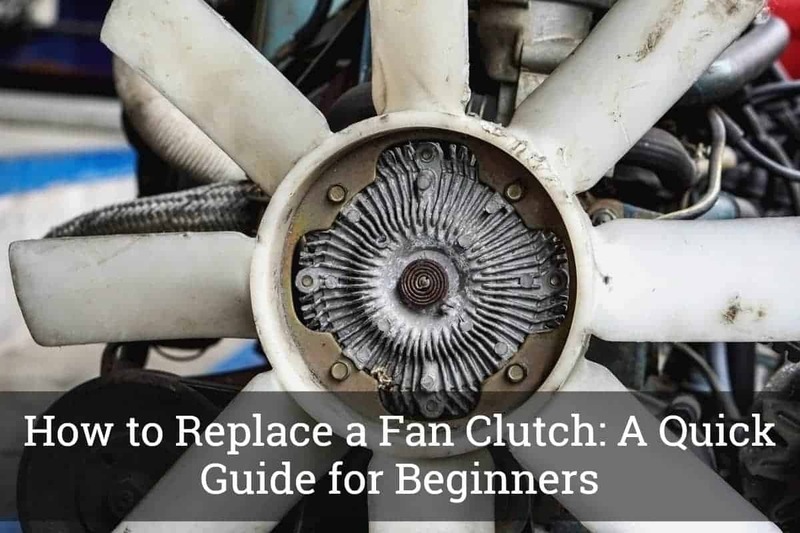 Aside from learning the way to properly install a fan clutch, the tips mentioned below will also be helpful, especially when it comes to making sure that the problem is with your fan clutch. Earlier, we have noted in this post that the first thing that you need to do is to determine if the problem is really the fan clutch. Aside from a quick visual inspection, there are certain tests that could confirm your initial theory. To test a fan clutch, here are the things that you need to do. Start the car. After starting the car, proceed to the front and open the hood, which should provide you with a good view of the engine and its components. Provide time so that the engine will stabilize. After a few minutes, the fan should slow down. It there is no sign of slowing down, this is an indication that the clutch is frozen. Another test is to attempt to stop the fan from running. Place a rolled paper and see if the fan will stop. If it stops easily, this means that the clutch needs a replacement. Spinning the fan with your hand will also be another quick test that you can do. There should be some form of resistance as the fan spins. If it is requiring too much effort to spin or if it rotates easily, these are also signs that you need a new fan clutch. Thermal Fan Clutch: With a high-speed operation, this type is able to provide maximum cooling. It also has disengaged operation, which is great for noise reduction and fuel efficiency. Non-Thermal Fan Clutch: If you are looking for one that is more affordable, this is what you have to choose. Nonetheless, its life expectancy is typically shorter. After reading this post, I hope that you already know how to replace a fan clutch. As you can see, it is a task that you can accomplish easily, even without seeking help from a trained mechanic. The materials needed are quite basic and the steps are easy to follow. Basically, you just have to remove the air hose intake, fan shroud, old fan clutch, and replace it with a new one. Hello, I am Alva Russel. I worked as a mechanic at Audi for over 20 years in the Northern California, Bay Area. During my time as a mechanic, I have gained a deeper understanding of how to handle the most common issues with one's vehicle. I have also learned many lesser known tips and tricks that can help prolong the life of your car, or simply make owning your own vehicle more enjoyable. There's a lot of bad information out there about how to find, maintain, and optimize your vehicle for the road and the tribulations of car ownership. I'm here to share as much of my experience with you as I can to make the journey of owning a car an easier and less depreciating one. As an owner of 2 sedans, 1 truck, and an SUV, I'm also well positioned to offer buying guides and advice to purchasing your next car. I want you to find the right car, and I want it to hold its value for you for as long as possible. Welcome again to drivinglife.net and I hope that my articles can help you to solve whatever car related problems you are running into. Copyright © 2019 Driving Life - This site is owned and operated by LIW LLC, a limited liability company headquartered in California, USA. LIW LLC is a participant in the Amazon Services LLC Associates Program, an affiliate advertising program designed to provide a means for sites to earn advertising fees by advertising and linking to Amazon.com.